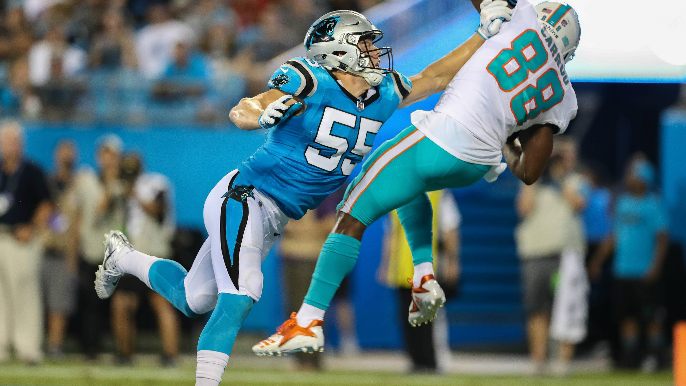 The 49ers added depth to the linebacker position and their special teams unit on Thursday, with the signing of former Panthers LB David Mayo to a two-year deal. Mayo, 25, was selected by the Panthers in the fifth round of the 2015 NFL Draft out of Texas State, where he was named the Sun Belt Defensive Player of the Year in 2014. Mayo has played in 59 games for Carolina since then, making four starts. In four seasons he’s recorded 61 tackles. Mayo will provide depth at the middle linebacker behind new acquisitions Kwon Alexander and Fred Warner.